Kevin is the proud owner of SERVPRO of Marlboro / Concord. He considers his employees as family. He graduated with a Business Degree from Olivet Nazarene University in Bourbonnais, ILL and continued the pursuit of his chosen field with an MBA from Rivier College, in Nashua NH. Kevin has an extensive medical business background in the New England region. He was Director for Support Services at the Massachusetts Eye and Ear Infirmary and worked with the Beth Israel / Deaconess Medical Center in Boston. He dedicated his efforts as if it were hospital emergency room. This backdrop provides Kevin with the insight and knowledge to own and run three regional SERVPRO franchises along with Cynthia, his wife of 38 years and counting. They are proud parents of two daughters and grandparents of three boys and recently a new grand daughter. Kevin's hobbies include gardening, reading, and enjoying the great outdoors. Chris was brought in as an Operations Manager and plans to concentrate his work load in and out of the field. His primary responsibilities include reviewing estimates, working with our budget, conducting interviews, and making sure our customers are satisfied. 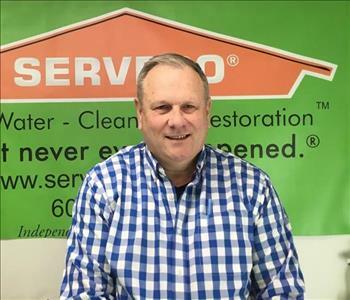 Company efficiency is a prime component to keeping the operations running smoothly in our SERVPRO of Marlboro / Concord franchise, and Chris is here to help with just that. Chris is fully IICRC certified, Institute of Inspection Cleaning and Restoration Certification, in Water Damage Restoration WRT and Fire damage Restoration as well. Before working with SERVPRO, Chris was in law enforcement for 9-years and was an insurance adjuster for three years giving him the background needed to run the operations here at SERVPRO efficiently. Besides working in and out of the office, Chris considers himself a true family man who loves spending time with his family and friends when at home. Tim Kearin is the other Project Supervisor/Estimator at SERVPRO of Marlboro / Concord. Since 2012 Tim has been an integral member of our production team, starting as a technician and working his way to becoming a crew chief. Tim is reliable, responsible and does whatever it takes to ensure that all of his jobs are completed professionally, on-time as well as guaranteeing customer satisfaction. Tim exemplifies the role of crew chief and leads by example. Tim is certified by the Institute of Inspection Cleaning and Restoration Certification (IIRC) in Water Damage Restoration WRT, Fire and Smoke Restoration FST, and IEE Lead-Safe Renovator. Tim currently resides in Nashua, NH. Joseph is a great member of our team at SERVPRO of Marlboro / Concord. Much like his brother, he started out as a technician but now is one of our highly trained staff members in the office. Joseph is a natural and is excellent at managing appointments, answering phone calls, and most importantly helping our customers. 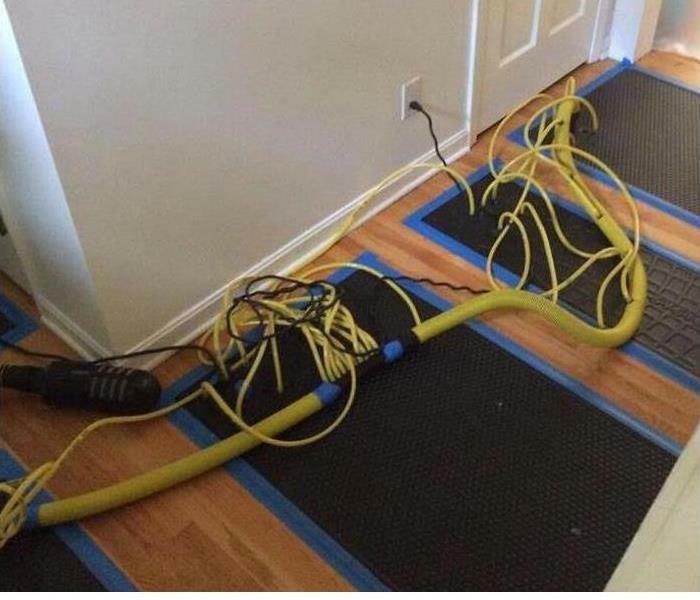 Joseph is is fully IICRC certified, Institute of Inspection Cleaning and Restoration Certification, in Water Damage Restoration WRT and Fire damage Restoration as well. We expect great things from him in the future. Besides working hard in the office, Joseph likes to hike and be outdoors with his friends and family. 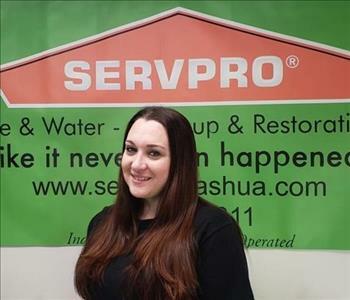 Samantha is our Marketing Coordinator at SERVPRO of Marlboro/ Concord. Samantha matriculated Bryant University for four years and graduated in May 2018 with a Bachelors in Business Administration. She majored in marketing and we are happy that she is with us to enlarge our footprint in our service area. Samantha will be contributing to our social media pages, monitoring Before & After Photos and the great reviews we are always getting from our customers. She focuses on advertising to increase our brand awareness. Samantha is very excited about starting her first real job since graduating and can’t wait to see where this journey at SERVPRO takes her. Besides working in the marketing field, Samantha enjoys to play rugby, socializing with family and friends, and playing with her dog, Arwen. 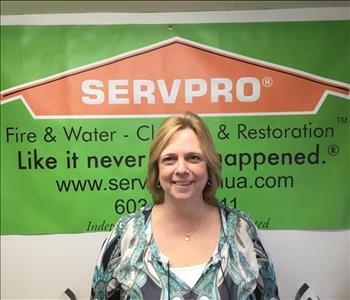 Kristin joined the SERVPRO of Marlborough/ Concord team about 15 years ago working with our owner, Kevin Lee and plunged into the sales and marketing end of the business. Kristin worked with SERVPRO for 6 years before she left the company and started her own cleaning company. She recently decided to join our team again, this time as the Business Development Specialist. Kristin plans on selling our services and our products to different vendors and becoming a key member of our Sales and Marketing Department. Besides working in the field and obtaining brand awareness, Kristin likes to spend time camping, walking her two dogs, and as always spend time with her family. 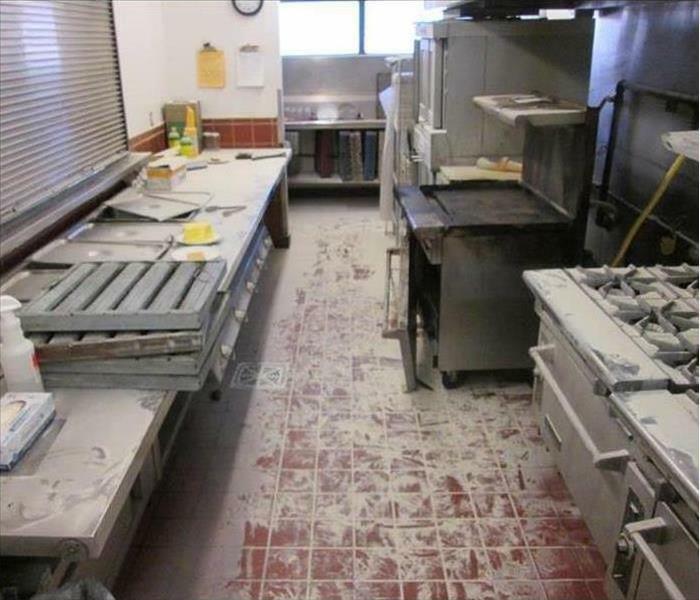 Need help with fire, water, commercial, or mold cleanup and restoration? Contact Kristin at (978) 486-9868. Mary is our SERVPRO of Marlboro / Concord Human Resources and Accounts Receivables since 2017 and is making a huge impact. Organizing tasks and keeping things running smoothly for the newest division of our three SERVPRO Franchises is no small task. When she is not multi-tasking for the masses ,she is a true nature lover! Mary enjoys four-wheeling, hunting, and horseback riding as well. Edwin is a valuable Crew Chief for SERVPRO of Marlboro / Concord, and he leads the way for many production projects. He is IICRC Institute of Inspection Cleaning and Restoration Certification trained in WRT Water Damage Restoration as well as course completion as a Safe Lead Renovator from the Institute for Environmental Education (IEE.). He also obtained an IICRC certification in Mold Restoration. Edwin is an integral part of our team because he is a master in all services we offer but he specializes in HVAC systems and duct cleanings. Steven has worked at SERVPRO of Marlborough/Concord since 2012 for seven years making him an easy choice for Production Crew Chief. His daily responsibilities include supervising other jobs and the job sites and making sure our team is getting the job done efficiently and effectively as possible. Steven is very customer friendly and is one of our go-to guys to get the job done. Steven is fully IICRC certified, Institute of Inspection Cleaning and Restoration Certification, in Water Damage Restoration WRT and Fire damage Restoration as well. Besides managing the crews, Steven likes to dance, hang out with friends, and enjoy his free time with his kids and family. Marymar has been with SERVPRO of Marlboro/Concord for a short period of time but she brings in so much talent and attention to detail that we have been able to expand our cleaning and detailing department that we do have. Marymar is one of our Crew Chiefs who specialize in cleaning. Marymar came from a small city in Puerto Rico where she used to work in a hotel in which she supervised for. Marymar is a hard worker, but she also is determined and always goes above and beyond in her work. Marymar has her Surgical Technologist license giving her a prolifera of qualities that are necessary to be successful in this industry. Besides monitoring the General Cleaning jobs, Marymar likes to go shopping and be with her family that is here in the United States. Norbert Talavera is a Senior Project Technician here at SERVPRO of Marlboro/Concord. He has been with the company for 4 years now and has expertise in cleaning and detailing, being that he worked on cleaning and detailing cars before working at SERVPRO. Norbert worked at another SERVPRO prior to working at SERVPRO of Marlboro/Concord so he has all the IICRC training and certifications needed to be in this industry. He completed the 10- hour full training for the General Industry Training Program and has the necessary tools to complete the required services. Besides working hard in the field, Norbert likes to play video games and hang out with his friends! 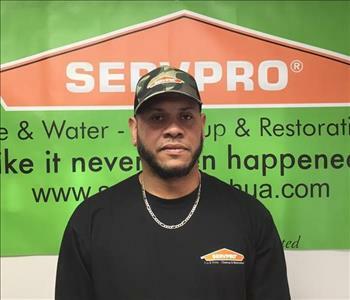 Luis has entered our SERVPRO of Marlboro / Concord team as a Production Technician. This young man brings a lot to the table, and he is already a key member of our production crew. Luis communicates well with our customers, an essential attribute. Luis is fully OSHA trained and certified and understands all safety precautions before entering a job. Luis likes to spend time with his family and relax when he is not working hard in the field. Carlos B is a dedicated Production Technician at SERVPRO of Marlboro / Concord. He is SERVPRO Employee Certified Training Program ready, and completely OSHA trained and certified. His goal is helping restore homes and businesses back to their original condition. He has more than 1 year of experience in landscaping and restoration so he always is up for the task given to him. No matter the project Carlos takes pride in his efforts for great customer experiences. He approaches each day with a positive attitude. 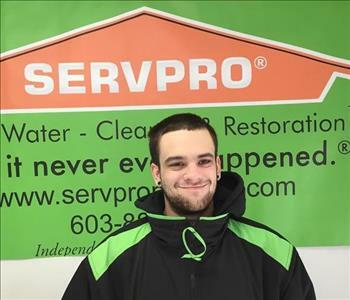 Derek has worked for SERVPRO of Marlboro / Concord for almost 2 years. He is currently helping out as a Production Technician. He has strong leadership skills and a great work ethic, and he hopes to step up and be a Crew Chief someday in the not too distant future. He approaches each project with precision and responsibility and strives to help each customer as much as possible. Derek lives in South Lowell, so he is always close by when a new loss occurs such as water, mold or fire. Derek is OSHA certified and certified by the Institute of Inspection Cleaning and Restoration Certification (IIRC) in Water Damage Restoration WRT. Derek is a renowned long boarder when not working or writing stories, or not hanging out with his friends. 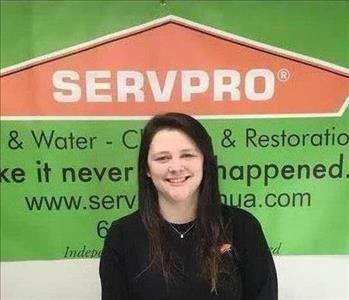 Denia is a Production Technician at SERVPRO of Marlborough/Concord since 2018. She has been in the housekeeping and cleaning industry for over six years and wanted to expand her knowledge and expertise into a large group setting like our team can offer her. She brings a great attitude, and her experience has helped move our business in the right direction. Denia has also completed the 10- hour full training for the General Industry Training Program. Besides working hard cleaning residences, commercial buildings, and our office, she likes to go shopping and spend time with her family on her days off. 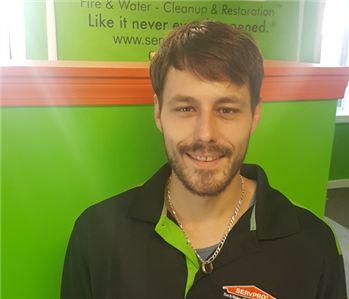 Henry is one of our Production Technicians here at SERVPRO of Marlboro/Concord and has been in the restoration industry since 2008. He has all the expertise and tools necessary to perform all the services in your residence or commercial building. He is an extremely hard worker and is completely OSHA certified and trained. 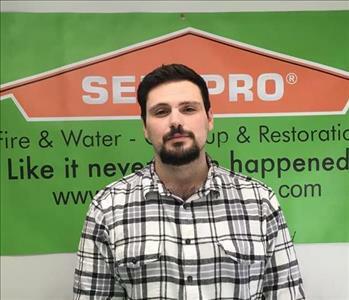 Before working at SERVPRO, Henry obtained a course completion for an Asbestos Contractor/Supervisor from the Institute for Environmental Education (IEE) and is currently working on getting certifications for Water Restoration and Lead Renovator. Henry is a critical part of our team and helps as much as he can. Ferdinand is one of our youngest employees at SERVPRO of Marlboro/Concord, but that does not stop him from doing his best work and completing the jobs as a Production Technician. He is very determined and considers himself a go-getter. He wants to move up to become a Production Crew Chief and has already achieved OSHA training. 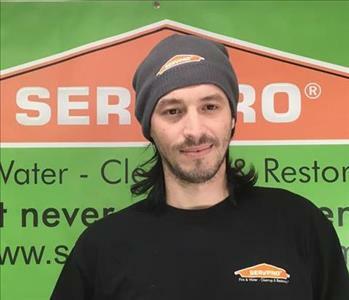 Before working with SERVPRO, Ferdinand assembled and cleaned cars for two years providing him with the skill set needed to be a qualified Production Technician. He likes to play video games and be with friends on his days off.